If you’ve ever seen a David Mack cover, you likely remember it. 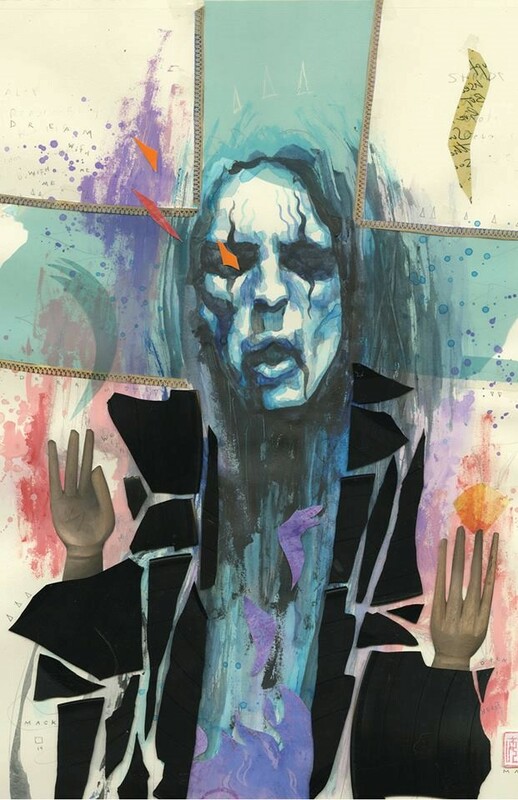 His striking, multimedia paintings have drawn plenty of eyeballs to Fight Club 2, Mack’s creator-owned series Kabuki and Jessica Jones, whose first issue debuted last week. Mack is a unique force in comics, bringing an adventurous, trans-disciplinarian approach that separates him from his peers, much as Alex Ross’ realism distinguishes his work. When creating covers, Mack considers the context: he wants to “grab people’s attention and differentiate that book from all the other books on the shelf. How does it look in the comic store? How does it look in the bookstore? What’s going to grab their attention to look at it first?” he explained to Paste at Wizard World Chicago. His philosophy is partly motivated by the fact that “in reality, people aren’t seeing only that image—they’re seeing that image on a shelf of many other books.” White space is one way to “make them zero in on [his] cover… A lot of [his] images will have a lot of white on the borders, because it immediately sets them off from whatever’s next to it.” This approach can be seen in the gorgeous first cover for the new Jessica Jones from writer Brian Michael Bendis and interior artist Michael Gaydos. The artist often achieves this layered effect through the use of found objects, which are a trademark of his work. Mack is always prepared to reinvent a regular object, thanks to the prodigious contents of his basement and garage, where he stores material that might be considered trash by most people. For Mack, it’s a palette that can be tapped as needed. Sometimes Mack creates his own found objects rather than manipulating stuff he found or bought at garage sales. 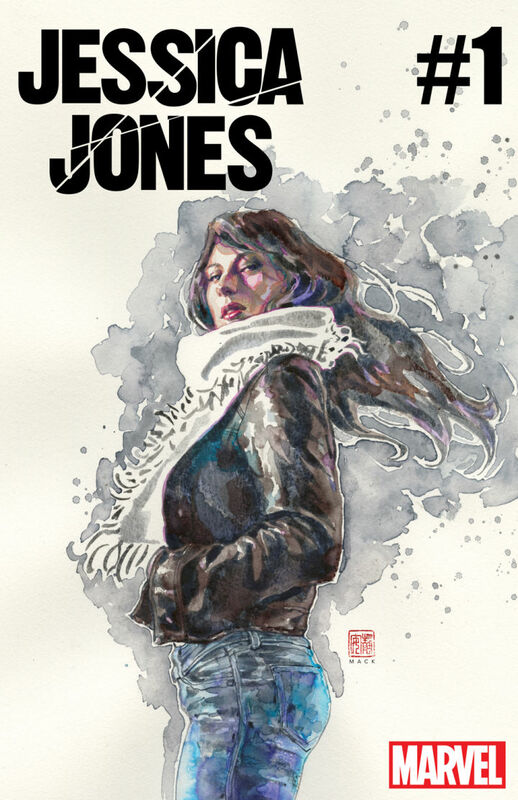 For the original Jessica Jones series that ran from 2001 to 2003, Alias, writer and creator Brian Michael Bendis wanted the comic to “look unlike any other book in the comic store.” Mack was understandably pleased by that request. “It gave me quite a liberty to try several different media approaches,” he said. Often those approaches involved the creation of objects that exist in the actual stories, as if he had snagged them from a fictional universe. Mack created an actual journal for the missing teen in the Alias arc “Come Home”—the journal was then photographed for covers and interior pages. 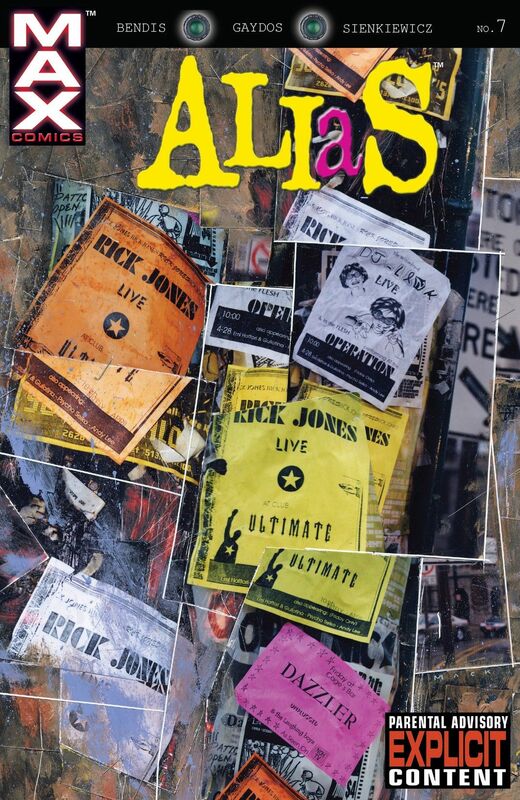 For a storyline featuring Rick Jones—in which a folk singer pretended to be the longtime Marvel sidekick—Mack created “crappy homemade band posters” and stapled them to a telephone pole. Mack also made posters for other fake bands, some of which involved his Kabuki characters. 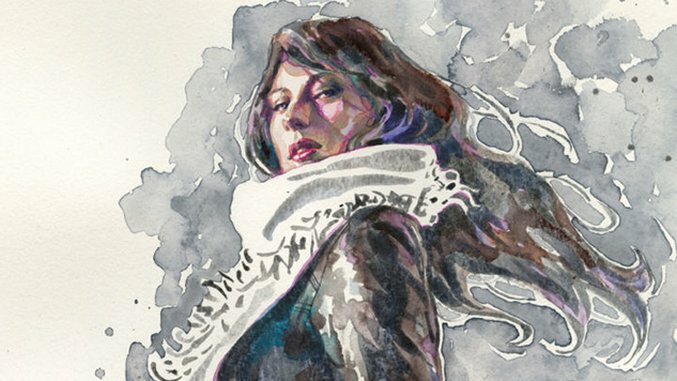 In one of many signs that comic artists are getting newfound respect, Mack’s titles for the Jessica Jones Netflix series were nominated for an Emmy in the category of Outstanding Main Title Design. 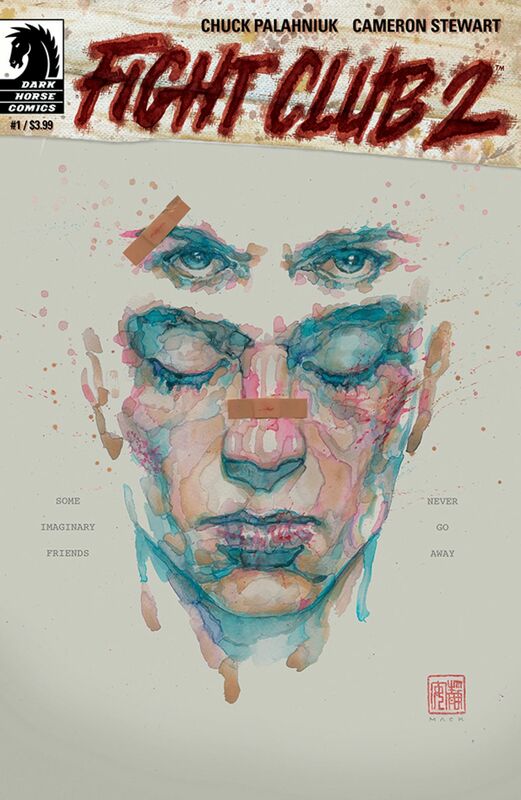 His covers for Chuck Palahniuk’s Fight Club 2 have also been widely praised, drawing new attention to his other work. 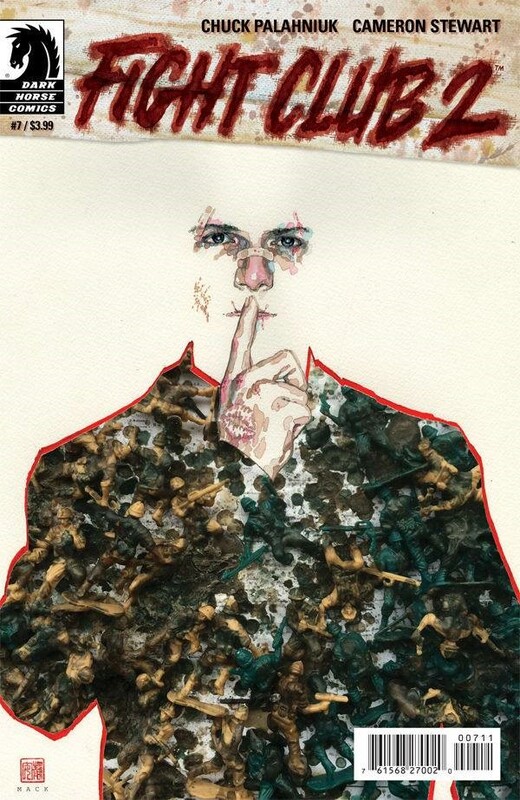 Another Fight Club cover displays meaning and texture through Mack’s talents. The unnamed protagonist shushes the reader, symbolizing the most famous quote from the original movie, but the suit speaks loudly.